As the UK’s leading independent provider of office technology, we’re passionate about sharing the latest in new tech with our customers. Our Technology Showcase has been created to enable us to do just that and share with you the latest products that can transform the way you work and inspire a positive change in your workplace. Below you will find more information on our latest featured product. We’re always innovating, because new technology is our passion and if it inspires a positive change in the workplace, then you’ll find it featured here. 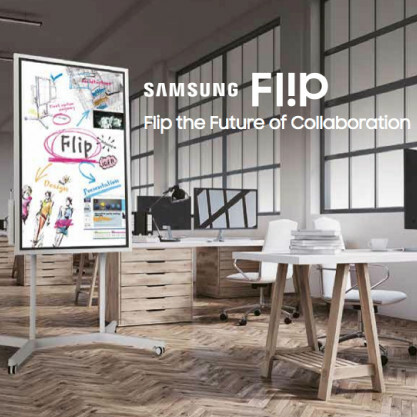 Introducing Samsung Flip, an interactive digital flipchart that will take your traditional meeting to the next level. Through the Samsung Flip’s mobile connectivity, you can introduce images, charts or other essential files directly from your personal devices…all in a clear, easy-to-read format. Better yet, the Samsung Flip expands creativity without sacrificing comfort, providing the same familiar writing experience as that of a standard analog board or piece of paper. Expand your collaborative capabilities without losing the meeting essentials. 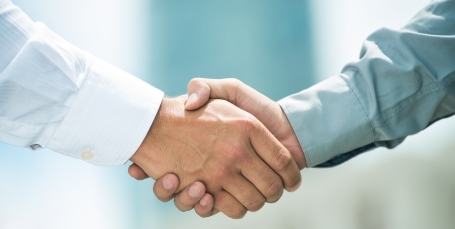 The meeting is the foundation of today’s business world. It also can be one of its most challenging elements. Between preparing and moving supplies, finding a room and making sure every voice is heard, it’s easy for game-changing ideas to get lost in the process. 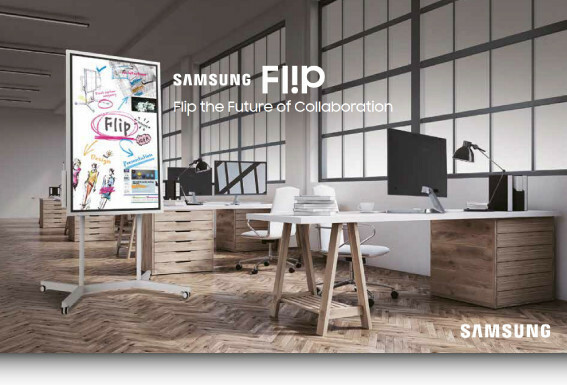 Introducing the Samsung Flip, an interactive display that drives more productive and efficient collaboration without the hassle. 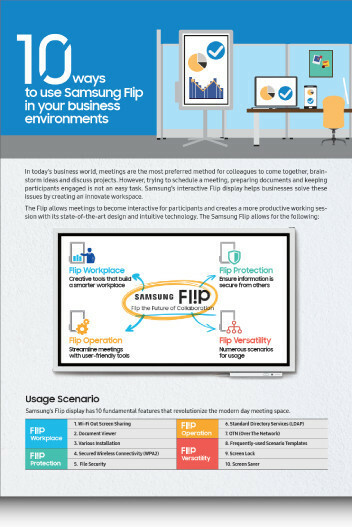 With the Samsung Flip, meetings can take place anywhere and at any time, with all vital elements included. Interested in finding out more about the Samsung Flip? Please download the Flip brochure by clicking the link below and start to transform the way you work. 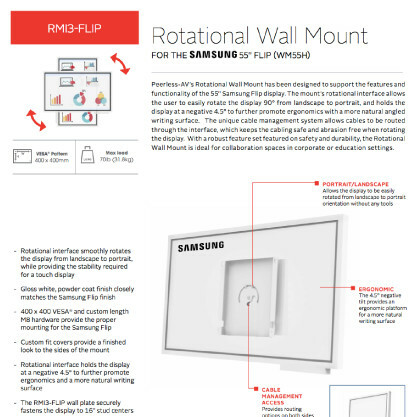 Samsung Flip presents all critical ideas in a clear and consistent format. 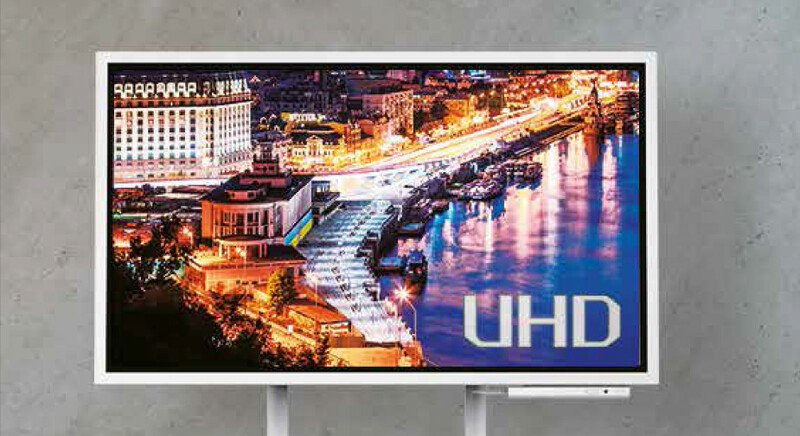 Regardless of annotation size or style, the Flip display maintains brilliant, eye-friendly UHD picture quality. In turn, you and your colleagues can follow the conversation and remain engaged at all times. 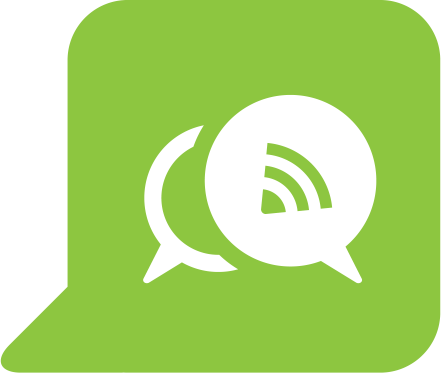 Samsung Flip is the ideal forum for simultaneous interaction. Up to four different meeting participants can make notes using the embedded pen or virtually any writing tool. Additionally, you can sync and control content from your personal device to the central screen for efficient collaboration. Today’s workers rely on their mobile devices to stay productive more than any other workplace tool. The Samsung Flip supports the mobile movement through extensive connectivity that makes on-screen content visible without interruption. And through integrated NFC and screen mirroring technologies, participants can mirror materials directly from their smartphone onto the central screen. 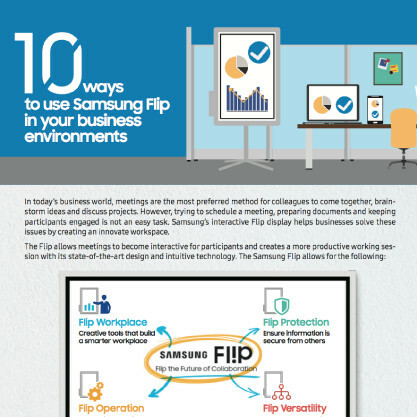 Find out 10 fundamental ways that the Samsung Flip will revolutionise the modern day meeting space. Flip is the future. It’s here to transform the way your customers’ businesses work and help teams and colleagues create and collaborate more effectively. Leave paper flipcharts in the past. 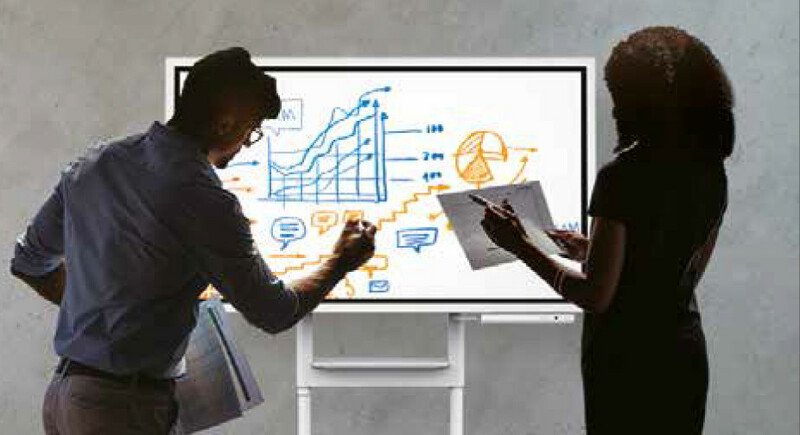 Flip lets colleagues write, draw and create together on a digital display. And it feels as smooth and natural as pen and paper.